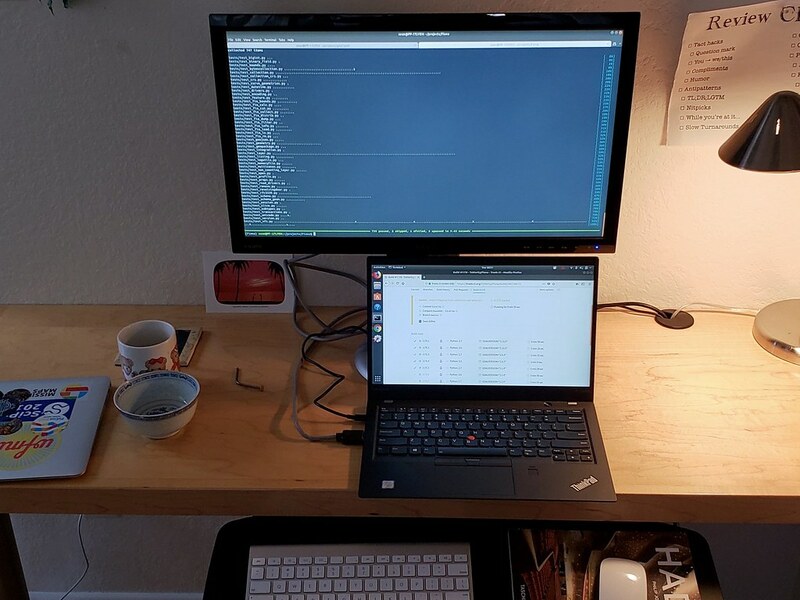 Last Thursday I traded my MacBook Pro for a Lenovo ThinkPad X1 Carbon so I can dig more deeply into the performance of Python, Rasterio, and GDAL on Linux. Because I've never used many Apple-only programs and keep all my work in "the cloud" switching was easy. My Apple keyboard and mouse mostly work, which is a nice surprise. The ThinkPad's weird 3-button trackpad and red pointer will take some getting used to.